The company expects the EBIT (earnings before interest and tax) margin for the fiscal year 2018-19 ending March 31 to be "marginally negative", management said. 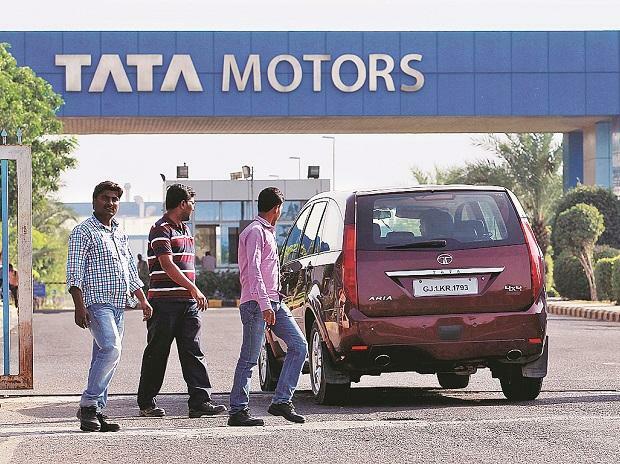 Shares of Tata Motors nosedived as much as 29.45 per cent to Rs 129 apiece on National Stock Exchange (NSE), their fresh 52-week low, a day after the auto major reported the biggest quarterly loss among Indian corporates as it was hit by asset impairment in its UK subsidiary, Jaguar Land Rover (JLR) Automotive in the December quarter. The stock, however, ended at Rs 150 levels, down nearly 18 per cent on the NSE. In comparison, the Nifty 50 closed 1.2 per cent lower at 10,944 levels. Troubles at the Jaguar Land Rover (JLR) unit, which has been hit hard by US-China trade tensions, low demand for diesel cars in Europe and Brexit worries, had tipped Tata Motors into its first loss in three years in the quarter ended June 2018. The company expects the EBIT (earnings before interest and tax) margin for the fiscal year 2018-19 ending March 31 to be “marginally negative” compared with an earlier guidance of breaking even, Chief Financial Officer, PB Balaji said. “We are now taking clear and decisive actions in JLR to step up its competitiveness, reduce costs and improve cash flows and make the business fit for the future,” Reuters reported quoting Balaji on a conference call. price of nearly Rs 166. "We cut our FY20/21 consolidated earnings per share (EPS) estimate by 21 per cent/13 per cent. Consequently, our net debt estimate is almost doubling, dragging down the equity value," the note added. In the past one year, shares of the company have tumbled nearly 56 per cent from Rs 377.80 to Rs 182.85 (as of Thursday's close). In comparison, the Nifty Auto index has corrected 22 per cent while the NSE's benchmark index Nifty has risen nearly 6 per cent during the same window.